The Mayor's Mardi Gras Ball will be held in the beautiful Rotunda of the St. Louis City Hall. This elegant Black-Tie event features dinner, drinks, entertainment, dancing and more. Doors open at 7pm. The proceeds go to create community grants that have shown to benefit Soulard and Downtown. See the website for more details and to purchase tickets. 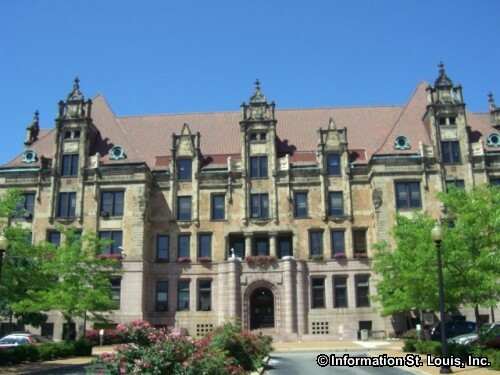 The St. Louis City Hall is one of the many examples of beautiful historic buildings in Downtown St. Louis. Its architecture is French in style and was inspired by the City Hall of Paris, a design chosen from 37 entries in a national competition and completed in November 1904. An interior feature is the beautiful central white marble rotunda with a stained glass skylight and a marble grand staircase. Besides being the seat of the City Government, the St. Louis City Hall Rotunda is the location of many special events held throughout the year. Directions: Located on Market Street, at the corner of Market and Tucker Blvd., in Downtown St. Louis.